Only 11% of employers plan to fill open positions by retraining existing employees. The majority say they will look to contingent workers—freelance, contract, and part-time employees—instead. But, when the unemployment rate for college-educated workers is barely above 2%, employers should take an “all-of-the-above” approach to talent acquisition, using both contingent talent and internal recruitment to fill essential positions and stay ahead of the competition. 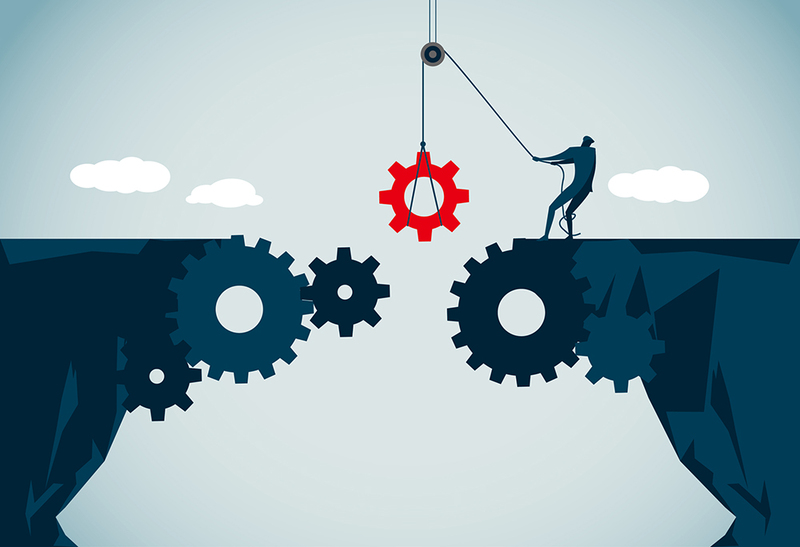 Talent scarcity remains a top challenge for employers, according to a survey of more than 800 C-suite and HR leaders from global talent solutions firm Randstad Sourceright. More than three-quarters of employers say they are ready to fill positions with qualified candidates anywhere in the world and are even willing to adopt alternative employment arrangements to get them. Turning to freelancers, independent contractors, consultants, or other outsourced and nonpermanent workers to do the work traditionally covered by permanent employees allows employers to consider a larger pool of potential talent from almost anywhere in the world. These “contingent workers” generally require less overhead than in-house employees and permit employers to more quickly scale their labor force up or down in response to market dynamics. The majority of employers Randstad Sourceright surveyed say they plan to rely on contingent workers to address the scarcity of skilled talent. Just over 1 in 10 say they will rely on reskilling. In such a competitive labor market, some employers feel they must decide between the two approaches. But these strategies need not be an either/or proposition. By upskilling existing employees to complement the engagement of contingent talent, employers can more effectively address the fierce competition for skilled labor than either strategy could alone. Upskilling and promoting employees from within allows employers to fill open positions with workers who already fit the organization’s culture, which avoids the risk that a contingent hire might clash with permanent workers or take a long time integrating with the existing workforce. Skills training may provide an effective shield against potential turnover. Learning and development opportunities are strong examples of an employer’s value proposition in action and can be powerful retention tools, especially for Millennial employees. Millennial workers who are satisfied with their employer’s development opportunities are more than twice as likely to stay with their employer than those who are not, according to data compiled by Deloitte. Several studies show that companies that promote executives from within outperform competing companies that brought in new blood, according to the Harvard Business Review. But even outside top leadership, recruiting from within is critical. San Francisco-based Great Place to Work surveyed over 400,000 U.S. workers and found that effective management of internal promotions makes workers twice as likely to commit extra effort to their employers and to plan a long-term future with the company. But, upskilling existing employees to fill open positions can create a game of musical chairs, leaving employers right back where they started: needing to find new talent to fill the positions they just promoted. An all-of-the-above strategy helps here as well. Not only does skills training help employers retain existing talent but it is also one of the best ways to attract new talent. With more than 5.5 million job openings and only 1.4 million unemployed workers to fill them, qualified candidates are in the driver’s seat during an employment offer. In this environment, salary is just the starting point. To land the best talent, employers must offer multiple opportunities for development and demonstrate a clear path for employees to advance their careers. Skills training also has the added bonus of increasing organizational diversity. Well-designed skills development initiatives can ensure that historically disadvantaged workers are afforded the same opportunities as others and can be an effective recruitment tool for minority, female, and other marginalized workers. The pressure on employers to find qualified workers is likely to intensify the demand for skilled talent. Employers that prevail over the competition will be those that refuse a forced choice between upskilling existing employees or engaging external talent. Instead, successful employers will adopt an approach that uses the best of each strategy to complement the other. JoAnne Estrada is global head of Contingent Workforce Solutions for Randstad Sourceright.